We find what you need. Polished yet scrappy — En Route is a niche marketing agency with a penchant for tourism, cultural and civic projects. 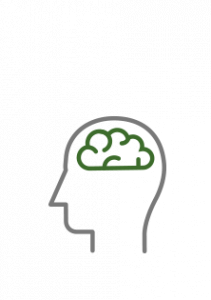 United by a passion for economic impact, analytics and brand building, we leverage integrated communications and networks to launch conversations on your behalf. 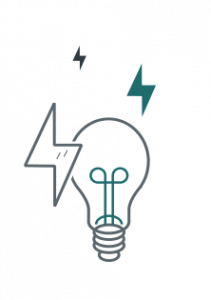 We believe in asking the right questions, actionable ideas and putting our clients first. Most of all, we believe in you, so get en route. En Route launched the Hilton Penn’s Landing’s new in-house dining concept – Keating’s Rope & Anchor, Bar + Kitchen, in the summer of 2016. 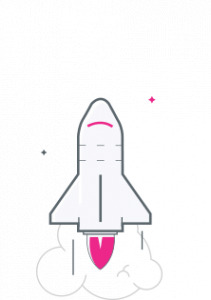 From website and collateral content creation, to photoshoot management, to launch event execution and a targeted media/influencer campaign – we planned, implemented and managed every aspect of the launch. Focusing on positioning the restaurant as an integral part of the waterfront community, En Route tapped into local food bloggers and Instagram influencers to host a series of events (that reached more than 290,000 followers) aimed at engaging regional food lovers and frequent diners. Traditional media efforts, including site visits by print, broadcast and digital media outlets, supported the influencer campaign along with personalized media deliveries to 30 regional outlets. The campaign resulted in more than 30 earned media placements, reaching more than 70 million impressions, over 17,000 social media engagements and an opening event that drew 165 local influencers, media, key industry partners and hospitality representatives. 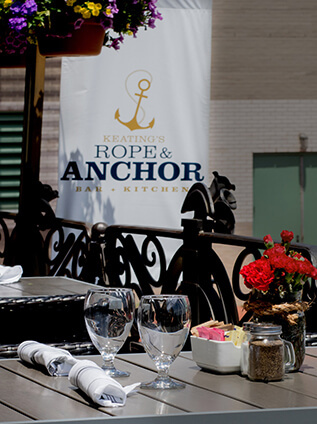 From content creation to launch event execution & a targeted media/influencer campaign, En Route launched the Hilton Penn’s Landing’s in-house restaurant – Keating’s Rope & Anchor, Bar + Kitchen in 2016. Pairing an opening event for industry partners with social media influencer dinners (reaching 290,000+ followers) & media outreach, the campaign generated more than 70 mill. (+) impressions & 17,000 (+) social media engagements. Since Visit Baltimore launched its LGBT tourism marketing program in 2008, the tourism promotion agency has relied on En Route to lead and manage the multi-faceted campaign. After years of print and digital media ad placements, En Route proposed a new comprehensive campaign to increase trackable results in 2013. En Route’s tailored solution leveraged sponsorships of LGBT film festivals along the East Coast. The sponsorships built brand awareness of Baltimore, promoted an All Access Baltimore contest and built a qualified consumer marketing database through email collection. The film festival promotion included a 30-second trailer shown before festival features, promotional displays in theaters, pay-per-click digital advertising, public relations and on-site themed events resulting in more than 16,000 unique visits to the All Access micro-site and more than seven million paid media impressions. En Route also leads the Visit Baltimore LGBT Tourism Advisory Committee, produces targeted LGBT content for the destination website – baltimore.org, and manages production of the official Visit Baltimore LGBT Visitors Guide. 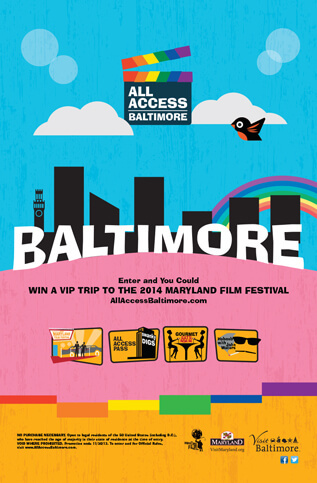 In 2013 En Route implemented a campaign for Visit Baltimore (focused on LGBT tourism) around East Coast LGBT film festivals. The goal: build brand awareness & a consumer marketing database. The promotion included 30-sec. trailers shown before films, theater displays, digital ads, PR & events. The campaign produced 16,000 unique visitors to the Visit Baltimore micro-site & 7 mill. (+) media impressions. A staple in Philadelphia’s tourism industry, the Philly PHLASH transit loop has provided a valuable service to tourists and locals since 1996, but decreased funding threatened its extinction. When the Independence Visitor Center Corporation (IVCC) successfully secured long-term funding for the PHLASH in 2015, they looped in En Route to help reinvent and relaunch the service. En Route managed the new program from RFP to vendor selection, routing to signage, to ticket pricing and marketing. Ensuring that the service remained simple and inexpensive, En Route helped introduce a new purple fleet in time for the summer tourism season and worked with various partners to launch a successful communications strategy and spread the word that PHLASH 2.0 had hit the streets of Philadelphia. The Philly PHLASH has provided transit services to tourists and locals since 1996. In 2015, the Independence Visitor Center Corporation engaged En Route to reinvent the service. We managed the new program from RFP to vendor selection, routing to signage, ticket pricing to marketing. En Route secured the launch in time for the summer tourism season & implemented a communications plan to spread the word. Franklin Square is one of Philadelphia’s original five squares and serves as a seasonal hub for family-friendly activities. Historic Philadelphia, Inc. received funding to develop a winter light show as a cornerstone of new holiday programming to enhance the use of the Square through November and December. As HPI’s marketing agency, En Route was tasked with introducing the holiday programming to new audiences and activating Franklin Square for a new season. 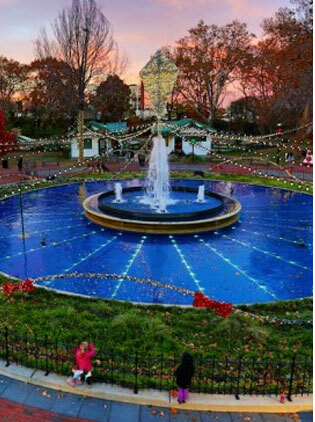 With our strategic plans for partnership procurement and management, collateral and content creation, social media management, paid advertising campaigns and digital marketing, the Franklin Square Holiday Festival and accompanying Electrical Spectacle Holiday Light Show attracts visitors of all ages to Franklin Square every winter. Over the past three years, En Route promoted special theme nights (such as Ice Sculpting in the Square and Nutcracker Night) to enhance the evening programming during the holidays. The Electrical Spectacle show now attracts more than 200,000 attendees over an eight-week period and lead to a 16% increase in social media followers for Historic Philadelphia. When Historic Philadelphia, Inc. received funding to develop a winter light show for Franklin Square, En Route was tapped to introduce the programming to new audiences. From partnership development to collateral creation, social media management to paid campaigns, En Route executes all marketing for the now annual show. The Electrical Spectacle attracts more than 200,000 attendees over an eight-week period. Experiencing declining attendance for their decades-old Holiday House Tours, the Fairmount Park Houses engaged En Route to reinvigorate their marketing to generate awareness and ticket sales. We responded with a baked from scratch solution. A Gingerbread House Display was created, matching local chefs with the historic properties, and displayed at the highly trafficked Shops at Liberty Place for two weeks before Thanksgiving. The annual display now generates awareness for the Charms and tours among thousands of locals and visitors who regularly travel through the space, produces social media content engagement, and provides a new hook for media coverage. Best of all, this inventive marketing vehicle required minimal dollars. From 2011 – 2016, the tours experienced increased attendance, and the display received substantial local and national press coverage, including The New York Times and Washington Post. In 2011, En Route created a marketing mechanism to spur interest & attendance for the Charms of Fairmount Park Holiday House Tours. 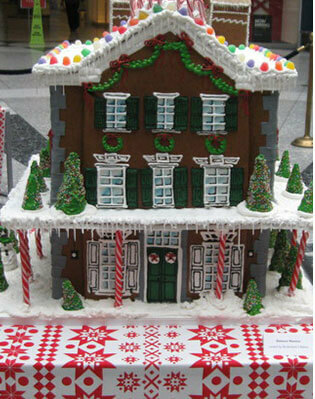 Matching local chefs with historic properties, The Gingerbread House Display was created for the Shops at Liberty Place during peak shopping season. 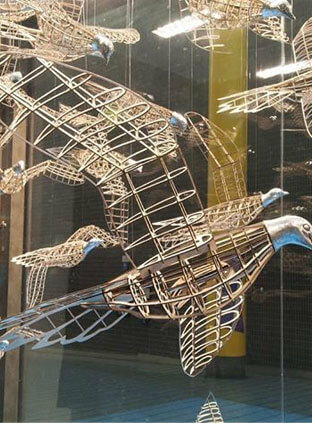 The annual display now generates interest among locals & visitors, sparks social media engagement & media coverage. CraftNOW, a creative collective of Philadelphia’s leading cultural institutions and artists dedicated to preserving and celebrating the city’s rich legacy of craft, launched the inaugural CraftNOW Philadelphia Event & Exhibition Series in 2015. Joining the project on the ground floor, En Route was engaged to build a brand narrative, design and implement an integrated marketing plan, launch social media channels for the new movement and promote the week-long event series through public relations. En Route produced and distributed all print collateral, served as the social media community manager for CraftNOW accounts, and executed a national media relations campaign to spotlight Philadelphia’s craft community and encourage the public to engage with the art of craft. 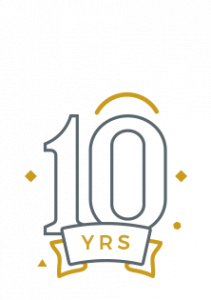 Since the launch of CraftNOW Philadelphia in 2015, En Route has secured more than 60 earned media placements, established a reach of more than 100 million digital and print impressions, and organically grew the social media presence from zero to more than 1,500 engaged followers. The CraftNOW Philadelphia Event & Exhibition Series launched in 2015. From the start, En Route was engaged to build a brand narrative, design & implement an integrated marketing plan, launch social media channels & promote the event series through PR. Since the launch, En Route has secured 60 (+) media placements & 100 mill. (+) digital & print impressions. As the agency of record for the Chestnut Hill Business District, En Route attracts new audiences leveraging the neighborhoods’ diverse events, most notably, the Harry Potter Festival. In 2016, this organic fan festival garnered global attention and shattered attendance records after En Route’s communications strategy generated international exposure. Understanding the power of viral marketing, we worked with a local destination marketing organization (with a highly followed blog and social media platforms) to break the news about the expanding festival. The initial announcement was followed by a regional broadcast media blitz (securing festival previews, human interest stories and executive interviews), a social media campaign (inserting the destination and event into conversations surrounding the series), and national media outreach (ensuring accurate coverage and brand driven messaging). Results from this purely organic campaign included driving more than 40,000 visitors to the destination (an estimated 14,000 visitors attended the previous year), coverage in 100+ outlets across the globe (including Teen Vogue, Travel + Leisure, Newsweek, TIME Digital and BBC News) and more than two million social media engagements. 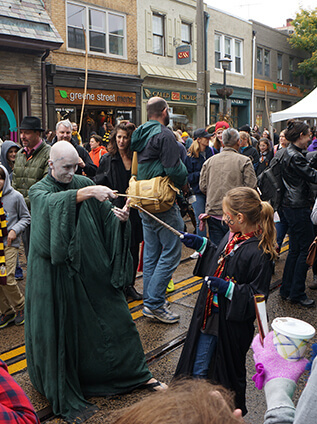 Chestnut Hill hosts the Harry Potter Festival. In 2016, this fan festival garnered global attention & shattered attendance records after En Route’s communications strategy generated groundbreaking exposure. Combining viral marketing & social media with exclusive teasers to Visit Philly & a media blitz, this purely organic campaign drew 40,000 (+) visitors to the destination, global media hits & 2 mill. (+) social engagements. 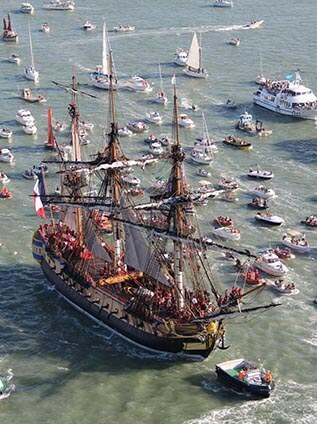 When the first Tall Ships festival in seven years sailed into Philadelphia and Camden, the event partners and producer signaled En Route to be their liaison with city representatives and tourism agencies to maximize visitation, overnight stays and economic impact. While the Festival planners brought the know-how to recruit ships from around the globe and manage the operations of the nautical event, En Route helped waterfront attractions develop strategies to book group tours and concept VIP hotel packages for visitors who wanted a closer look. En Route managed outreach to hotels and visitors centers, concierge and front line staff, and businesses and attractions that could enhance the Festival and create new opportunities throughout the city. When the Tall Ships festival sailed into Philly, the event producer signaled En Route to serve as a liaison with city representatives & tourism agencies to maximize visitation, overnight stays, & economic impact while helping waterfront attractions develop strategies to book group tours. En Route managed outreach to hotels & visitors centers to enhance the Festival and create new opportunities throughout the city. 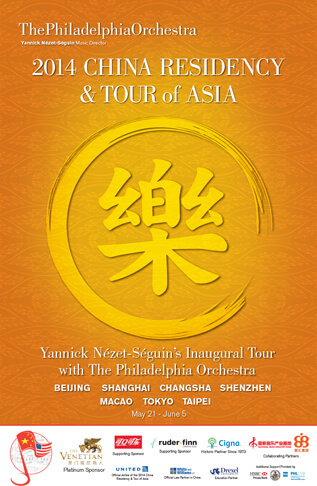 Certainly, one of the most unique and rewarding projects – and a frequent flier miles generator – took root when The Philadelphia Orchestra recruited En Route to Asia in 2012 to help launch a five-year China Residency Program. Since that first tour to Shangahi, Beijing, Tianjin and Macao, En Route has managed sponsorship activation, marketing materials, diplomatic events and so much more through China, Japan and Western Europe. En Route currently serves as project manager for the Orchestra’s annual overseas tours and manages globally-focused efforts at home, including the 2014 visit by the National Centre for the Performing Arts Orchestra and the 2016 China-U.S. Year of Tourism Closing Ceremony. The Philadelphia Orchestra recruited En Route to Asia in 2012 to help launch a 5-year China Residency Program. Since that first tour, En Route has managed sponsorship activation, marketing materials, diplomatic events and more through China, Japan, & Western Europe. En Route currently serves as project manager for the annual overseas tours & manages the Orchestra’s globally-focused efforts at home. In 2015, Montparnasse 56 – a global tourist attraction operator based in France, announced plans to bring a new observation deck to the rapidly growing Philadelphia skyline. With less than a year to construct, staff, brand and launch Philadelphia’s first large-scale observation deck, M56 engaged En Route to activate the agency’s connections within the fabric of the local tourism and hospitality community to rapidly secure partnerships, develop a long-lead marketing plan, and lead the development and execution of a comprehensive launch plan. 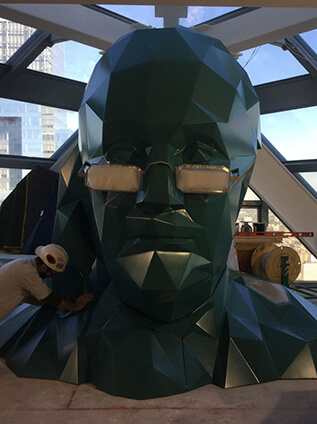 From design to production, community partnerships to civic engagement, product development to price scaling – En Route served as the initial marketing team for the pre-opening of One Liberty Observation Deck. In 2015, Montparnasse 56, a global attraction operator, announced the addition of a Philly observation deck. M56 engaged En Route to activate the agency’s connections in the regional tourism community to rapidly secure partnerships, develop a long-lead marketing plan, & lead the development of a comprehensive launch plan for One Liberty Observation Deck. Tianyu Arts & Culture Inc.’s Chinese Lantern Festival made its Northeast U.S. debut in 2016 at Franklin Square. An illuminating celebration of Chinese art and culture, the festival provided a unique opportunity to attract new visitors to Franklin Square and the City of Philadelphia. En Route was charged with developing the marketing plan to announce the festival, generate awareness, drive ticket sales for the seven-week event and spur repeat visitation to the Square. The comprehensive campaign leveraged paid media, social media, promotional partnerships, on-site activations, Search Engine Marketing and influencer engagement to successfully launch the inaugural festival. The 2016 event drew 92,000 visitors from all 50 states and 10 foreign countries and will return for a 2017 season. Leveraging organic user generated content, strategic social media engagement lead to a 20% increase in social followers for Franklin Square accounts with more than 800 images shared using the designated hashtag on Instagram. 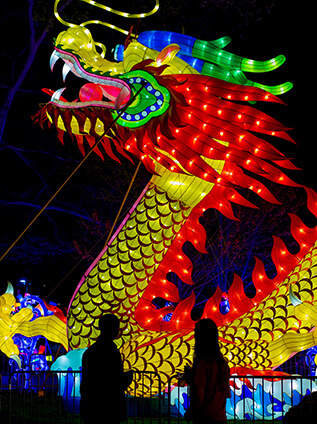 The Chinese Lantern Festival made its Northeast U.S. debut in 2016 at Franklin Square. En Route developed a marketing plan to announce the event & drive ticket sales. The plan leveraged paid & social media, promotional partnerships, on-site activations, SEM & influencer engagement to launch the inaugural festival. The 2016 event drew 92,000 visitors & sparked a 20% increase in social followers for Franklin Square. 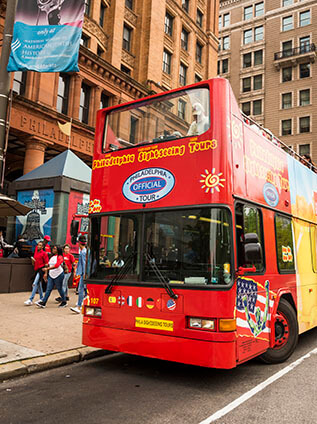 Philadelphia Sightseeing Tours (PST) provides hop-on, hop-off tours of Philadelphia via double decker bus and trolley. The tour provider also operates private charter services and airport shuttles. In 2015, PST selected En Route as the company’s agency of record to refine and reimagine the brand and marketing tactics. En Route revamped the PST website, streamlining copy and content to mirror the tour company’s primary goals. After completion, En Route deployed a digital marketing campaign – combining search engine marketing, retargeting ads and paid social media campaigns to drive customers to book advanced ticket sales and track online conversions. After the first year, En Route was able to increase website traffic to philadelphiasightseeingtours.com by 25%, grow Google Adwords referrals by more than 100,000% and increase engagement across owned social media platforms by 40%. In 2015, Philadelphia Sightseeing Tours tapped En Route to reinvigorate their marketing tactics. We streamlined the PST website & deployed a digital campaign – combining SEM, retargeting ads & paid social promotions to drive customers to book advanced tickets & track conversions. Results of year 1: 25% increase in web traffic, 100,000% increase in Google ad word referrals & 40% growth in engagement across social platforms.